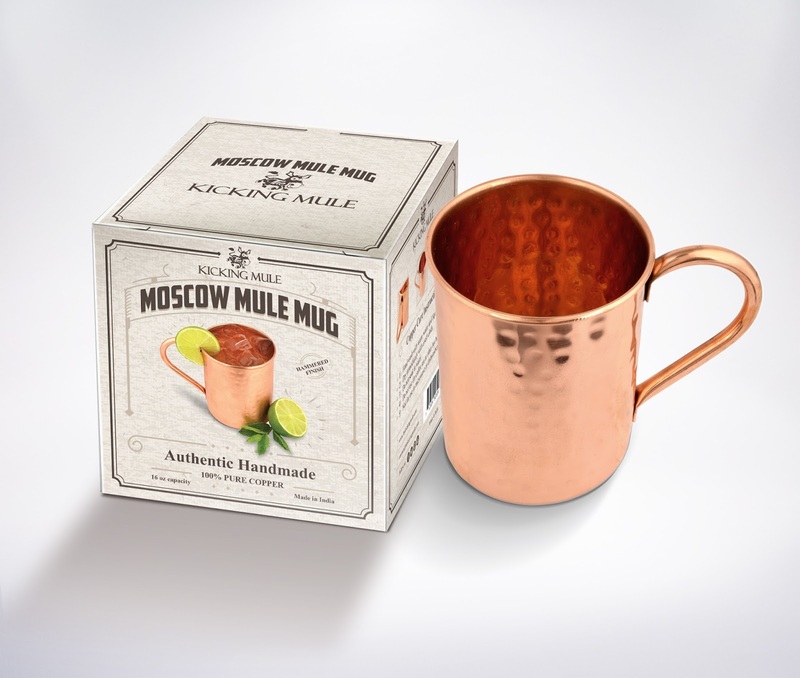 One Moscow Mule mug will be won by a MarksvilleandMe reader, open to USA residents 18 years or older from 11/22/2015 -11/30/2015. MarksvilleandMe is not responsible for prize distribution that will come from The Kicking Mule. MarksvilleandMe wishes everyone who enters Good Luck! You can find this copper mug on Amazon. What The Kicking Mule has to say about their product. The Kicking Mule mugs are uniquely handcrafted and made from traditional techniques. Each finely crafted Mug is packed in a Custom Printed Gift Box. Why Should You Drink From Copper? Apart from its stunning beauty, copper has amazing properties which keeps your drinks icy cold, enhances the flavor of your Moscow Mule and provides health benefits. You can enjoy beer, wine, iced tea, iced water, whisky, cocktails or anything else you want maintained cold while drinking. For stunning results pop it into your freezer to get it extra cold. In the unlikely event that you are dissatisfied with your purchase please contact us and we will do what it takes to resolve the issue and make you 100% satisfied. Our product is backed by a Lifetime Warranty. Details will be included at purchase. Disclosure: MarksvilleandMe received one or more of the products mentioned above as part of a promotion with Tomoson and The Kicking Mule. Regardless, MarksvilleandMe only recommends products or services we use personally and believe will be good for our readers. Some of the links in the article may be “affiliate links.” This means if you click on the link and purchase the item, I will receive compensation. If you would like MarksvilleandMe to review a product or service please contact us at marksvilleandme@gmail.com.